The Dolphins' secondary continues to be one of the most constant sources of frustration on game days, and the Dolphins brought in yet another new face into the mix Wednesday. Veteran cornerback Michael Coe was signed to the Dolphins' active roster today, replacing waived guard Ryan Durand, who was signed just one week prior and was inactive in Week 12 against the Seahawks. The Dolphins still have a full 53-man active roster, which now includes five cornerbacks. The team has two more players at the position on the practice squad in De'Andre Presley and Julian Posey. A Memphis, Tenn. native, Coe started 43 games at the collegiate level between Arkansas and Alabama State, where he played as a senior under his father. A first-team all-conference selection at ASU, Coe played cornerback and safety as well as punt returner. Drafted by the Indianapolis Colts in the fifth round of the 2007 NFL Draft, Coe (6-0, 187) appeared in six of the team's final seven games as a rookie, recording eight tackles and a pass deflection. A knee injury suffered in training camp forced Coe to miss the entire 2008 season while on injured reserve and the Colts released him prior to the 2009 season. Once on the open market, Coe signed to the New York Giants' practice squad in Sept. 2009. He was plucked off the practice squad by the Jacksonville Jaguars in November, playing in five games as a special-teamer. He appeared in two games with the Jaguars in 2010 before being waived in September. 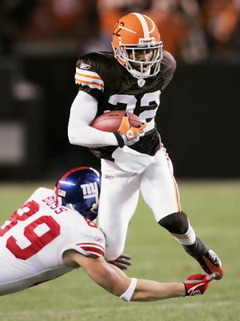 The Giants' re-signed Coe in Nov. 2010 and appeared in four games that season, recording four tackles. In 2011, Coe totaled 10 tackles and a pass deflection in 10 games before a shoulder injury in November prematurely ended his season. In 2012, Coe opened the season with his first career start. However, a lingering hamstring injury limited his availability to the Giants and he saw less time on defense as the season went on. In all, Coe appeared in seven games and recorded 13 tackles and two pass deflections (both career highs) before landing on injured reserve on Nov. 10 and being released on Nov. 26. I suspect Coe signed a one-year contract with the Dolphins for the veteran minimum, although exact details are not yet known. Coe has more than four accrued seasons, which would make him an unrestricted free agent if he plays out his deal in Miami. At this point, it's hard to tell if the Dolphins simply didn't like what they saw from Durand at guard over the past week, or if he was just the most expendable as the team decided to bring in additional secondary depth. We'll know more if he ends up being re-signed later this season or perhaps in the offseason. As for Coe, he's certainly not a savior of the Dolphins' secondary and I wouldn't expect many contributions from him over the final month of the season. Like all players in his position, he's really on a week-to-week basis with the team and needs to show ability on special teams and hold his own in practice to stick around. That being said, the Dolphins could do worse for a depth signing and I'm plenty willing to give Coe a shot. I think it speaks volumes that he's never had trouble being employed in now his sixth season in the league. He's never been on an NFL practice squad and hasn't spent much time on the open market during any season, including 2012, as he was released just two days ago by New York. Coe isn't going to solve the Dolphins' coverage woes and he's not going to make Sean Smith play any better, but it wouldn't surprise me if Coe does end up seeing time over Bryan McCann (who played one defensive snap against Seattle) or even R. J. Stanford depending on how well Coe does in practice. It certainly wasn't pretty the entire time, but the Dolphins' run defense performed extremely well and rookie quarterback Ryan Tannehill showed the resiliency and clutch traits you'd hope for him to have as the Dolphins pulled out a last-second victory over the Seattle Seahawks in Week 12. 1. Ryan Tannehill certainly wasn't on the entire game, and the throw across his body into the end zone that was picked off only to be called back on a questionable roughing call was the kind of decision and throw you just can't make in the NFL. That being said, he really stepped up late in the game with a beautiful touchdown to Charles Clay and a flawless drive for the game-winning field goal. 2. I think Tannehill was finally given more help by Mike Sherman's play-calling, which has been frustratingly conservative at times. In his defense, it's possible the offensive line, both in terms of run blocking and pass protection, hasn't allowed to do all the things they would have liked. But it was great to see Tannehill given the chance to throw downfield more and Sherman did a great job setting up plays late in the game with end-arounds, fakes and play-action. 3. Reggie Bush had another patented USC touchdown run, but I was really impressed with Daniel Thomas in this one. He ran extremely hard, pushing piles and breaking tackles, and covered the ball up. (I'd like to point out that he hasn't fumbled since Week 3 when he had his second in two games to start the season.) He needs a big final month of the season, because he's really auditioning to make Bush expendable this offseason. 4. Davone Bess had another beast of a game and, while limited physically, is one of the league's more underrated slot receivers. I also thought it was interesting that Rishard Matthews played 22 snaps to Marlon Moore's six, though Matthews had a penalty on his watch and never caught pass. Realistically, neither will ever be a long-term fixture in the Dolphins' passing game. 5. Mike Pouncey continues to be one of the brightest spots of the Dolphins' season. He started the season strong and has rebounded from a rough game against Indianapolis in Week 9. Honestly, his athleticism might be as good as any center's on the league and his ability to get to the second level as a run blocker has really impressed me. 6. On the flip side, Jake Long continues to be a huge problem on the field. He allowed another sack this week as well as four total pressures. (The rest of the offensive line allowed three pressures combined.) I can't explain his drop-off in production, but the Dolphins would be crazy to give him elite money in the offseason and at this point he might not even be worth the franchise tag. 7. 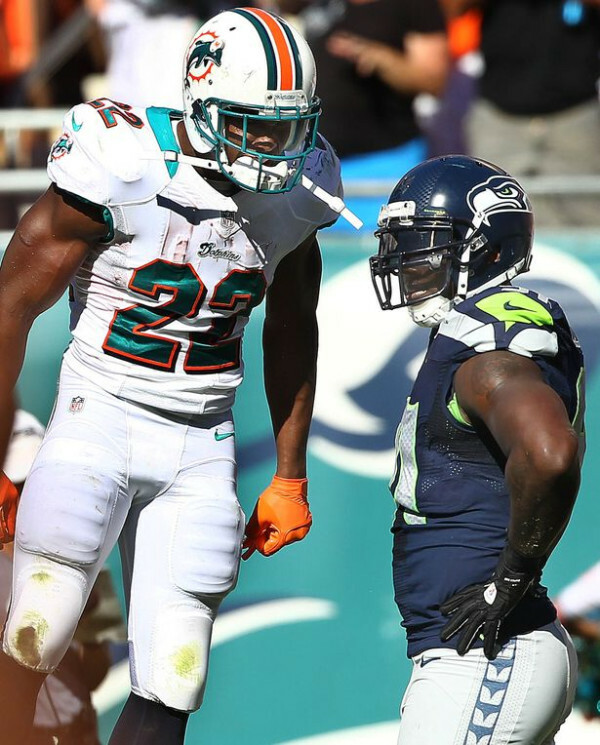 The Dolphins' run defense was absolutely perfect in this one, holding Marshawn Lynch to rushing 46 yards. (His 2.4-yard average was his worst since Week 15 of last season.) It honestly seems like he got stuffed every play, and even on his best runs I saw some blatantly holds that were not called. All credit goes to the usual suspects, Randy Starks and Paul Soliai, as well a a surprisingly strong performance from Tony McDaniel. 8. Benefitting from the defensive line's performance, this may have been one of the best games of the season for Koa Misi and Kevin Burnett at linebacker. Total faker Karlos Dansby continues to struggle and my only hope is the team can find some way to get out of his contract in the offseason. 9. As good as the run defense was in this one, the secondary was a bit concerning. Reshad Jones continues to be the only bright spot with his breakout season, but the rest of the group is struggling. Sean Smith can't stop anything right now and Russell Wilson was able to complete passes with regular ease. With Smith a free agent at season's end, I honestly don't know how you fix this secondary. 10. 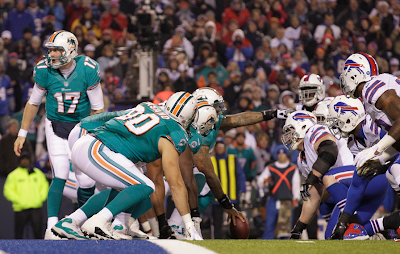 I was particularly glad to see Dan Carpenter nail the game-winning kick in this one. I was one of the people trying to settle things down after he missed some potentially game-changing kicks early in the season, but I'm not surprised to see him get back on track because he proved himself to me a long time ago. Still, it will be interesting to see if he returns in 2013 or at least faces training camp competition at such a high salary. Miami Dolphins rightfully celebrated their last-second victory over the Seattle Seahawks yesterday, but it seems Jonathon Amaya might have taken things a little too far. Amaya was arrested around 4:30 a.m. Monday morning outside of the Bamboo nightclub after allegedly assaulting a taxi driver. He is being held on $1,500 bond. 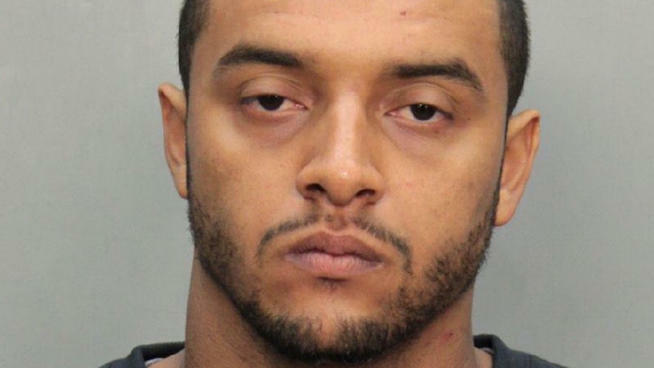 According to the NBC Miami report, Amaya gave the driver $100 to take him to a place outside of his normal area. As they drove, Amaya became "aggressive" and the driver opted to return to the club and refund his cash. That's when Amaya allegedly wrapped his hands around the driver's next and started choking him. Two off-duty officers saw the cab driving erratically and heard the driver scream, "This man is trying to kill me!" It remains to be seen how the legal system plays out here, but it certainly isn't a good situation for Amaya and he can ill-afford to have any run-ins with the law when it comes to his football career. A third-year player originally signed by the Dolphins as an undrafted free agent out of Nevada in 2010, Amaya was a special-teams ace as a rookie before Miami dealt him to New Orleans in the Reggie Bush deal during the 2011 offseason. After a season in New Orleans, Amaya failed to make the Saints' team in 2012 and was re-signed by the Dolphins on Sept. 25. Although he's played just four defensive snaps all season (all in mop-up duty in a blowout by the Titans), Amaya has continued to shine in special teams and ranks second on the team with six tackles. However, Amaya's special-teams prowess may not be enough to save him a roster spot after this arrest. The Dolphins set a precedent in the offseason shipping the troublesome Brandon Marshall to Chicago and cutting ties with Chad Johnson in training camp immediately after he was arrested for headbutting his wife. It remains to be see what, if any, action the Dolphins will take with Amaya. If he does get a second chance, then it would behoove him to stay out of trouble and continue impressing on the field. If he is sent packing, it will certainly be his own doing and the Dolphins will move on. Losers of three straight and now 4-6 on the season, it seems the Miami Dolphins are shifting from the present and instead looking toward the future. The Dolphins waived wide receiver Jabar Gaffney on Tuesday, just a month and a half after signing the veteran. Gaffney, who replaced Legedu Naanee on the roster and eventually worked as the team's No. 3 receiver, struggled to make an impact in seven weeks with the team and was inactive last Thursday against Buffalo with a knee injury. Updated (11/23): Ben Volin reports Gaffney was suspended for two games by the NFL yesterday, which certainly could have had something to do with his release. The reason for the suspension is unknown, but he can serve it as a free agent. Gaffney will have to pass through waivers before becoming a free agent, as all players do at this point in the season. The Dolphins are not on the hook for the remainder of his salary because he was not on the roster to begin the regular season. Replacing Gaffney on the active roster is second-year tight end Kyle Miller, who was claimed off waivers from the Indianapolis Colts. The Dolphins also added free agent guard Ryan Durand, filling a spot on the 53-man roster than had been open since cornerback Brandon McDonald was waived two weeks ago. Finally, the Dolphins released tight end Dominique Jones from the practice squad and signed offensive tackle Jeff Adams in his place. Jones joined the Dolphins roughly a month ago after starting the season with the Colts. A Worcester, Mass. native, Durand was a three-year starter at right guard for the Syracuse Orange and was a four-time All-Big East selection. As a senior in 2008, he was named a second-team all-conference selection and participated in the East-West Shrine Game. The Tennessee Titans drafted Durand in the seventh round (239th overall) of the 2009 NFL Draft. He was waived during final cuts and spent his entire rookie season on the practice squad before being re-signed in the offseason. After making the Titans' roster out of camp in 2010, Durand was inactive for the team until making his NFL debut with seven snaps at left guard against the Dallas Cowboys on Oct. 10. He was waived on Nov. 23 and spent the remainder of the season on the team's practice squad. 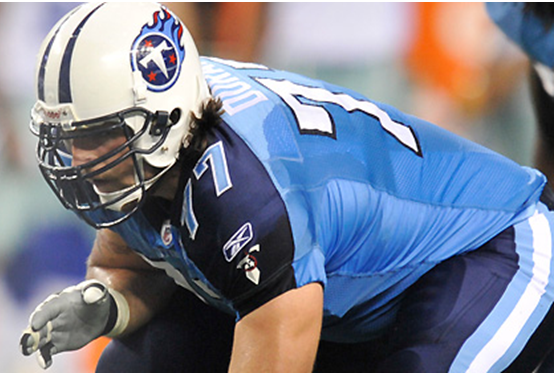 Durand re-signed by the Titans in 2011 and again spent the entire season on the team's practice squad. In 2012, he was waived during final cuts for the third time in four years and has been a free agent since. The son of former Cleveland Browns quarterback, Mark Miller, Kyle was a four-year letterman at Mount Union, catching 87 passes for 1,259 yards and 16 touchdowns in 47 career games. As a senior, he was a first-team All-OAC selection and a Division III All-American. Undrafted in 2011, Miller signed with the Jacksonville Jaguars and caught two passes for 17 yards in the presason before being waived during final cuts. 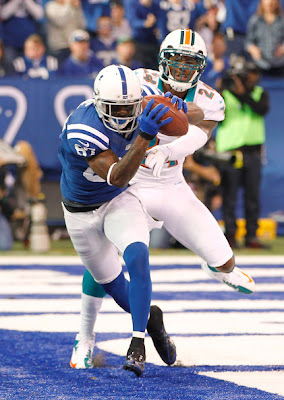 Miller signed with the Colts in April 2012 and began the season on the team's practice squad. He was promoted to the active roster on Nov. 12 and made his NFL debut in Nov. 18 against the New England Patriots. The Colts waived him the following day. Adams was an All-Ivy League selection at left tackle during his final three seasons at Columbia, as well as a third-team All-American as a senior in 2011. Undrafted in 2012, Adams signed as an undrafted free agent with the Dallas Cowboys. He appeared in two preseason games before being waived during final cuts. He then signed to the practice squad of the Cincinnati Bengals, where he remained for 10 weeks before being released on Nov. 13. It's no surprise to see Gaffney cut here, as the Dolphins' season has taken a nosedive and the veteran just wasn't providing any tangible boost to the passing game with rookie Ryan Tannehill. According to Pro Football Focus, Gaffney caught four passes for 68 yards on 11 targets while dropping two passes and having one pass thrown his way intercepted. At this point, there was no reason to continue on with Gaffney and the Dolphins were obviously content seeing what they have in younger receivers Marlon Moore and rookie Rishard Matthews. The Dolphins only have four players at the position on the active roster right now, which could pave the way for a late-season promotion for practice squad receivers Jeff Fuller and/or Brian Tyms. It seems the Dolphins are finally starting to take me seriously, as Jeff Adams was one of my suggested undrafted rookie signings in my offseason plan piece from March. Maybe if they had started listening to me sooner, the Dolphins wouldn't be 4-6! In all seriousness, I like the Allen signing and it'll be interesting to see if he can earn an offseason contract and a chance to compete for a spot in training camp. I suspect for the time being he'll work with Will Yeatman at left tackle, keeping Jake Long fresher during practice. The 6-foot-7, 305-pounder is a small school prospect but has some developmental upside. Also joining the offensive line is Durand, who hasn't had an easy go of it since being drafted four years ago. Durand was a low-upside prospect coming out of Syracuse and doesn't offer elite physical tools at 6-foot-5 and 301 pounds, although I suspect he at least fits what the team is looking for in an interior lineman more than some of the others. He'll probably back up Richie Incognito at left guard, though he has the ability to play the right side as well, which he did his entire time at Syracuse. Like the other two additions, don't expect much of an impact from Miller, either. He's the fourth tight end on the roster and would certainly be limited to special teams if he dresses for any games down the line. Miller, who also has long-snapping experience but is no threat to John Denney's job, is simply competing for a spot on the offseason roster. Remember when people looked at a stretch of schedule that included the Colts, Titans and Bills and thought "man, the Dolphins have a chance to make a run here." Yeah, that didn't really work out. I was only able to watch the game off and on as I was working for NBA on TNT last night, but I did see quite a bit and I watched the condensed version of the game on NFL Game Rewind. My day job continues to prevent me from going all out with my observations, but here are 10 things I saw in the game. 1. Ryan Tannehill has certainly hit a rookie wall and I know it's a bummer for fans to see him struggle with guys like Andrew Luck and Russell Wilson playing well and having their share of big plays. That being said, I think it's ludicrous to be down on the guy to early given how raw he was supposed to be coming out of college and given how little he has to work with. The Dolphins have played well at times this season, but lately his support has been absolutely nonexistent. Against Buffalo, the line was dominated and there was no running game to speak of, so I can't put all this on a rookie quarterback playing his first road game in the cold. 2. Speaking of the running game, what the hell has happened? The line is getting dominated and these backs have absolutely nothing to work with. It's interesting that Lamar Miller seems to be getting less work than he did earlier in the season, especially when you consider how Reggie Bush's play has fallen off and he may not be re-signed in the offseason. 3. Tannehill's receiving corps is easily among the league's worst, but I do love some of the pieces. Brian Hartline is great at what he does and continues to impress with his body control on the sideline, while Davone Bess is so sure-handed and made a few amazing catches last night. A running game and an elite No. 1 receiver would let those guys thrive in their roles. 4. The offensive line is a mess right now. Jake Long is playing well below his normal level and may be making the Dolphins' decision this offseason that much easier. Meanwhile, rookie Jonathan Martin (Long's potential replacement at left tackle down the line) struggled mightily with four pressures and a sack allowed in this one. The only sure thing right now on this unit is Mike Pouncey, and the rest of the group is regressing. I don't know if it's poor scheme fits or what, but this group is just getting manhandled right now and it's preventing the Dolphins from doing anything on offense. 5. I feel like a broken record, but once again Cameron Wake seems to be the only player on these defense that's consistently productive. He was all over the place and hurried Fitzpatrick a bunch, including one sack. No matter how the season turns out for the Dolphins, expect Wake to land a second Pro Bowl selection this year. 6. I shouldn't say Wake was the only good player last night, because Reshad Jones had a pretty good game as well. He wasn't a liability in coverage and was all over the place in tackling the ball-carrier. Jones has been one of Ireland's better mid-round picks and it's exciting that he's finally developed into a capable starter. 7. While Wake and Jones had good games, the same can't be said for many members of the front seven. Randy Starks and the rest of the defensive line couldn't do anything and the whole front seven took way too long and needed way too many guys to make tackles on C. J. Spiller. Kevin Burnett has been the most consistent of the team's linebackers this season, but none are playing well right now. 8. Nolan Carroll was rightfully flagged on a few plays, but a few others were horrible calls by the referees. What's worse, the Dolphins were also hit with some bad calls and non-calls on the other side of the ball, including a missed interference on Hartline and a weak offensive interference call on Hartline late in the game. I'm not normally one to say a team got screwed by the refs, but I felt the Bills happened to benefit a lot more from bad calls in this one. 9. Brandon Fields is a pure stud and that's all there is too it. The AFC Pro Bowl voting's leading punter right now had a beautiful/improbable punt from the back of his own endzone to the Bills' 33-yard line yesterday. (That's 65 in the air from scrimmage.) On the other hand, Dan Carpenter struggled again with a 50-yard miss off the right upright. I like him and I'm not overly concerned about his ability, but it's fair to wonder if he'll be back in 2013 at a salary over $2 million. 10. One of the Dolphins' few other pleasant surprises this season has been Marcus Thigpen, who has been a huge upgrade to the return game. His second return touchdown of the season last night was a think of beauty and once he turned on the jets there was nobody that could catch him. 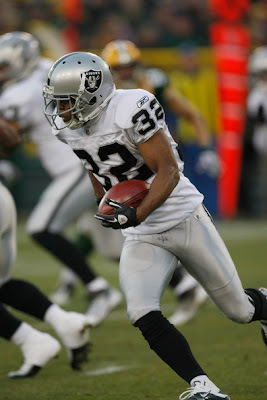 Thigpen's 29.4 average on kickoffs ranks him third in the NFL among players with at least 15 returns on the season. Coming into Week 10, I felt the Dolphins matched up very well with the Titans. In particular, I didn't expect Chris Johnson or a presumably rusty Jake Locker to be able to do much of anything against the Miami defense, even with their secondary issues. Turns out the bad Dolphins showed up, as the Titans gained the momentum early and sucked all the life out of their opponent by the second half. It was clear no comeback was going to happen as it looked like Miami just completely gave up midway through this one. The Dolphins have a short week with a Thursday night matchup against the Buffalo Bills, so they'll need to have a short memory and rebound from this shellacking similar to how the Titans did after their massive loss to the Bears a week ago. Until then, here are my observations from the Dolphins' loss to the Titans in Week 10. This certainly wasn't the best game by Ryan Tannehill, who didn't get much help from his offensive companions. The running game was nonexistent and Brian Hartline was the only reliable target, while the offensive like struggled for the second straight week. I put part of the blame on him for the first interception (he should've seen the guy that tipped it), no blame on him for the second interception (blatant defensive pass interference) and 100% blame for the third as he just made a terrible forced throw late in the game. Rookie quarterbacks are going to have their rough patches, but I'm not worried about Tannehill at all. Reggie Bush's fumble early was extremely costly, giving the Titans an easy touchdown and early momentum. That being said, I am totally confused by Joe Philbin's decision to bench Bush for the rest of the half. I get that it led to a Titans touchdown and that turnovers kill games, but we're talking about one fumble, and one fumble by the veteran leader and best player on the offense. If you bench Bush for a whole half, you're not just punishing Bush. You're taking away the team's best weapon and punishing the entire team. I don't get that move by Philbin. That's not the right message to send and it clearly didn't help anything. On the other hand, I did think Daniel Thomas played pretty well, rushing, receiving and blocking. I'm glad to see him getting more playing time after his early-season struggles and multiple concussions. The receiving unit basically summed up the Dolphins' situation. Hartline was reliable but is clearly a No. 2 guy. Davone Bess is a reliable slot guy and made an incredible catch late in the game. We don't have a real weapon at tight end. Nothing's changed here. The offensive line had another down day, even if Tannehill wasn't sacked until late. Jake Long is still not looking like himself, while Jonathan Martin continues to get burned at times and the interior linemen just haven't been getting it done lately. These guys needs to have some pride and start dominating like they have in the past, because the past few weeks they've really been losing the battle upfront. I'm also curious to see Richie Incognito's penalty, where he reportedly shoved an opponent's helmet into the turf and got benched for the rest of the drive by Philbin. Of course, Nate Garner got destroyed on the first play in for Incognito, so penalty or not, I'd rather have Incognito out there. This was not the best of days for the defensive line and the front seven in general. Not only did they allowed their first 100-yard rusher in 22 games, but they also did it in a fairly embarrassing fashion. They over-pursued all day and were clearly so worried about Chris Johnson's speed that they kept leaving the backside edge wide open for him to cut back. I understand that's a hard thing to anticipate, but when the defensive line clearly has the stretch run sealed off, there is no reason for the linebackers to all take such deep angles the same way. Pursue from the backside and prevent Johnson from turning a loss or short gain into a huge gain. Cameron Wake was probably better than most, playing the run well and putting pressure on Jake Locker despite being constantly held. I swear, Wake has been blatantly held a few dozen times this season that haven't been called. Like I already said, the linebackers didn't have a good day and didn't do a good job of pursuing and sealing off running lanes for Chris Johnson. Karlos Dansby had a good play later in the game but should've made an interception. (I thought the guy was a Hall of Famer?) Kevin Burnett was invisible it seemed, even though he led the team in tackles. I can't remember a single time all game Sean Smith had good coverage, although I assume it had to have happened at some point. It seems like he constantly let receivers catch passes uncontested and, true to form, he dropped a few interceptions. I've never seen a guy that's so cocky play so badly at times, and it makes me just hate him. Jimmy Wilson had a nice sack on a blitz, and if it's one thing I'll say about him, it's that he's doing a lot of little things well. Coverage hasn't been one of them, however, and that's obviously most important. Still, he's giving the Dolphins more than most seventh-round picks do. This also wasn't a very good game for our safeties. They didn't tackle well, they didn't pursue well, and some plays were just boneheaded. Chris Clemons should've laid a on the receiver short of the end zone on Tennessee's early touchdown after the Bush fumble. And Reshad Jones being burned on third and short for a touchdown to Jared Cook was just laughable. These guys have to be better. Dan Carpenter missed a field goal attempt on a windy day, only to be saved by a timeout as the play clock expired. He rebounded and put it through the uprights on his second attempt. This was a rare rough day for Brandon Fields, who averaged just 39.2 yards on six punts and had a few line drives in the wind that really didn't go anywhere. Obviously, there's nothing to worry about here though. Marcus Thigpen had some solid but unspectacular returns, although there wasn't much blocking there. Marlon Moore seemed to be on every special teams tackle and I thought he had a great day. I've always felt like the Dolphins are a bit of a Jekyll & Hyde team (you never know which will show up) and that's probably the result of the team just not being all that good. We certainly saw the bad version today, and I really didn't expect it because I thought the Dolphins matched up well against Tennessee and brought superior talent to the table. As we've seen so many times watching this sport, however, turning the ball over a lot absolutely kills you and today was no exception. The Dolphins were thoroughly dominated and seemed to have the life sucked out of them after some early mistakes. Beyond the on-field issues, I really hope the Dolphins get some other things straightened out. Joe Philbin needs to cut out the questionable or stupid decisions (i.e. benching Bush or challenging nonreviewable plays) and the Dolphins players need to have some pride and keep giving effort all game. We've seen amazing comebacks in the NFL before, but there was no chance of it happening in Miami today because the Dolphins just gave up. We're probably see the good Dolphins show up next week against the Bills, but I don't know how you could ever predict it. Those with playoff hopes should probably temper expectations and just hope to see some progress from Tannehill and the rest of the team over the second half of the season. Join me Sunday at 12:30pm ET for a live chat during the Dolphins-Titans game! The Miami Dolphins were clearly in need of secondary help with their Week 9 struggles and the loss of starter Richard Marshall to injured reserve, but it seems cornerback Brandon McDonald is no longer in the team's plans. McDonald, who was claimed off waivers from the Tampa Bay Buccaneers on Wednesday, was back on the street just three days later as the team waived him Saturday afternoon. The 27-year-old McDonald was originally a fifth-round pick by the Cleveland Browns in 2007, but had bounced around with the Cardinals, Lions and Bucs over the past three seasons. As of now, now corresponding move has been announced and the Dolphins have an open spot remaining on their 53-man roster. I presume the NFLPA frowns upon any team heading into a game short of a full roster, so it seems a promotion from the practice squad appears most likely. Rookie cornerback De'Andre Presley, who was waived earlier this week and re-signed to the practice squad, is one potential candidate, as is fellow practice squad cornerback Julian Posey. The Dolphins could also activate undrafted rookie running back Jonas Gray from the non-football injury list, although the Notre Dame alum hasn't played in a game since tearing his ACL a year ago and I find it hard to believe he's a realistic contributor this season. Less likely this weekend is a veteran signing, even if corners Stanford Routt (Chiefs) and Pat Lee (Raiders) are potentially on the Dolphins' radar. Such a move would be more likely to happen early next week than right before the team's Week 10 game against Tennessee. The Miami Dolphins were torched in Week 9 for 433 yards by Indianapolis Colts quarterback Andrew Luck, but secondary relief won't be coming in the form of starting cornerback Richard Marshall, who has been out since Week 4 with a back injury. The Dolphins ended Marshall's season today by placing the seven-year veteran on injured reserve. Marshall, who signed a three-year, $16 million contract with the Dolphins in the offseason after stints with the Panthers and Cardinals, finishes his first season in Miami with 18 tackles, an interception and five pass deflections in four starts. 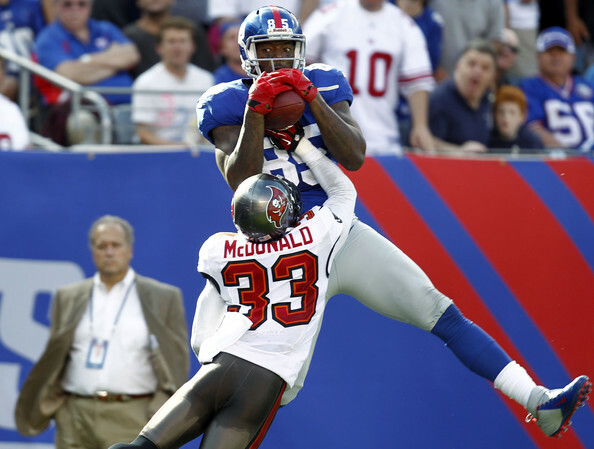 Cornerback Brandon McDonald was claimed off waivers from the Tampa Bay Buccaneers to make room for Marshall. McDonald joins Bryan McCann as the second cornerback added by the Dolphins in as many days. Undrafted rookie De'Andre Presley, who was waived Tuesday to make room for McCann, cleared waivers Wednesday and was re-signed to the practice squad on Thursday. McDonald initially played at Jones County Junior College in his native Mississippi before playing his final two seasons at Memphis. He was drafted in the fifth round (140th overall) of the 2007 NFL Draft by the Cleveland Browns. After working primarily as a backup during his rookie season, McDonald started 15 of 16 games in 2008 and totaled 75 tackles, five interceptions and 17 pass deflections. He opened 10 of 16 games the following years and recorded 55 tackles and an interception, earning positive marks from Pro Football Focus both seasons. McDonald was waived during final cuts in 2010 and claimed off waivers by the Arizona Cardinals. He played in just two games before being waived on Oct. 26. The Detroit Lions claimed him off waivers and allowed him to play in six games that season, including two starts. 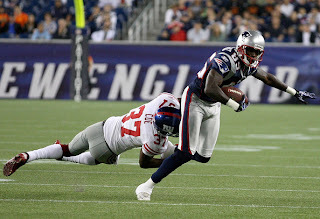 In 2011, McDonald appeared in 13 games as a reserve and recorded 19 tackles and two pass deflections. The season included a stint as a free agent, as Detroit waived him on Dec. 9 only to re-sign him on Dec. 22. The Tampa Bay Buccaneers signed McDonald in late August, keeping him on the active roster until his release on Nov. 6. McDonald struggled mightily in coverage for the Bucs while starting two of eight contests and recording his ninth career interception. Because the Dolphins claimed McDonald off waivers, they will inherit his one-year, $700,000 originally signed with Tampa Bay. If he remains on the team through the remainder of the season, he will be an unrestricted free agent in the 2013 offseason. It's unfortunate to lose Marshall, who at least had NFL starting experience even if he hadn't been a highly productive corner with the Dolphins yet. That being said, the team has been able to win some games without him and they are at least getting to take a longer look at some of the younger corners. 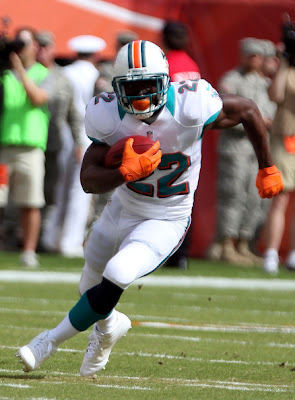 Despite the back injury and uninspiring production before it, I'd expect Marshall to return to the Dolphins in 2013. Sean Smith is an unrestricted free agent and will likely be seeking a nice pay day, so the Dolphins could use Marshall even if they do address the position in the draft or free agency. After some solid moments in Cleveland early in his career (and some laughable arrogance when he called out then-Bengals receiver Terrell Owens on Twitter), McDonald has progressed to journeyman status at age 27 and seems to be struggling to find consistency in coverage. His 31 career starts are welcome experience given the loss of Richard Marshall for the rest of the season, but it will take a serious turnaround for McDonald to have a positive impact for the Dolphins on defense and it's certainly not something I would bank on. Like I said with the McCann signing yesterday, this move isn't going to fix the Dolphins' secondary problems. The reality is they need Smith needs to play like a No. 1 corner and the Dolphins need to get more from youngsters Nolan Carroll and Jimmy Wilson. The Miami Dolphins have signed five-time All-Star and six-time Silver Slugger award-winner Brian McCann, formerly of the Atlanta Braves. Actually, they've signed free agent cornerback and return specialist Bryan McCann (note the Y in Bryan), formerly of the Dallas Cowboys, Baltimore Ravens and Oakland Raiders. 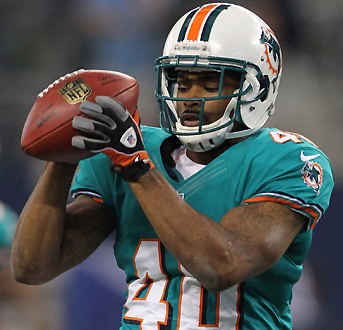 To make room room for McCann, the Dolphins waived fellow cornerback De'Andre Presley. An undrafted rookie and converted college quarterback, Presley was signed off the practice squad on Oct. 3 and appeared in four games on special teams. The Dolphins are now 4-4 on the season after a loss to the Colts in Week 9 halted a three-game winning streak. They'll return home to face the Tennessee Titans in Week 10. An Oklahoma City native, McCann played college football at Southern Methodist, where he was a Freshman All-Conference USA pick in 2006. Over the following three seasons, McCann played cornerback, safety and returned punts, finishing his collegiate career with 10 interceptions. After going undrafted in the 2010 NFL Draft, McCann (5-11, 185) spent training camp with the Dallas Cowboys only to be waived during final cuts. He was claimed off waivers by the Baltimore Ravens and spent the season opener inactive before being waived again. McCann was re-signed to the Cowboys' practice squad on Sept. 16 and was promoted to the active roster in early November. In just his second NFL game, McCann intercepted an Eli Manning pass and returned it a Cowboys-record 101 yards for a touchdown. The following game, McCann returned a punt 97 yards for a touchdown. He finished the season with 15 tackles, a pass deflection and an interception in nine games. After making the Cowboys' 2011 roster, McCann appeared in two games before being waived to make room for wide receiver Laurent Robinson. He was later re-signed to the Ravens' active roster, appearing in three games and recording one tackle before being waived again. Later in the 2011 season, McCann was signed by the Oakland Raiders on Nov. 17. He appeared in seven games and recorded three tackles while returning 13 kickoffs for an average of 27.8 yards. The Raiders waived McCann during final cuts in 2012. Ineligible for the practice squad due to the nine games he played in as a rookie, McCann worked out for the Kansas City Chiefs in September and the Cowboys in October, but he was not signed on either occasion. 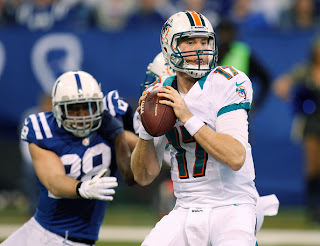 While fans are looking for answers after the Dolphins allowed an NFL rookie record 433 passing yards to Andrew Luck on Sunday, including numerous third-and-longs, McCann's signing is unlikely to be the remedy. Presley was not one of Sunday's culprits as he did not register a defensive snap against the Colts, while McCann is hardly an established cornerback himself with just 36 defensive snaps played in 2011 between the Cowboys and Raiders. McCann is a worthwhile prospect with great speed and athleticism, and the fact that he was on the streets up until today is a bit misleading because he has the misfortune of being permanently ineligible for the practice squad due to game experience. That being said, he's more likely to compete with Marcus Thigpen for return duties than he is to compete for a significant role in the secondary, even if Richard Marshall (back) remains out of the lineup. Like it or not, we're probably looking at a continued secondary of starters Sean Smith and Nolan Carroll, accompanied by backups Jimmy Wilson and R. J. Stanford. The Miami Dolphins opened a roster spot on Wednesday when they waived wide receiver Anthony Armstrong, but they didn't replace him until the day before their matchup with the Colts in Indianapolis. The Dolphins promoted safety Anderson Russell from the practice squad on Saturday, signing him to a new contract to add him to the 53-man roster and replace Armstrong, who has since been claimed off waivers by the Jaguars. Russell will provide the Dolphins with additional secondary depth with cornerback Richard Marshall's continued absence, although his only real role against the Colts if he is active for the game will probably be special teams. A third-year undrafted player out of Ohio State, Russell spent the entire 2011 season on the Dolphins' practice squad and has spent most of the 2012 season there as well, except for a brief three-day stint as a free agent in early October. This will be Russell's first active roster experience since November of 2010, when he played in two games as a member of the Washington Redskins. That remains his only regular season experience to-date, when he recorded two tackles on special teams and failed to register a snap on defense. After being held (pun intended) sackless over the team's first three games, Miami Dolphins defensive end Cameron Wake has finally started to make a big impact on the stat sheet, and that hasn't gone unnoticed. Wake was named the AFC's Defensive Player of the Month for October, having notched a sack in each of the Dolphins' three games during the month—all victories. Wake, who first broke out of his slump on Sept. 30 at Arizona with 4.5 sacks, now has 7.5 sacks through seven games this season and is on pace to break his career high of 14 set in 2010. Beyond his basic numbers, Wake is also a popular player in the football metrics world. Pro Football Focus ranks Wake as the best 4-3 defensive end in football this season, crediting him with 47 total pressures—nine more than anyone else in football. He's also earned positive grades in coverage and run support. No one that has watched Wake all season would be surprised by these numbers. Even during his sackless streak from Weeks 1-3, Wake was constantly held by opposing linemen (many not called) and putting pressure on the quarterback. It certainly seems like the Dolphins got a bargain when they signed the 30-year-old Wake to a contract extension this offseason with $17 million guaranteed. Ben Volin compared Wake's deal to that of other pass rushers at the time, and it's safe to say the Dolphins are getting more bang for their buck of anyone on that list. Wake is in his fourth season with the Dolphins after initially signing with the team as a standout from the Canadian Football League in 2009. 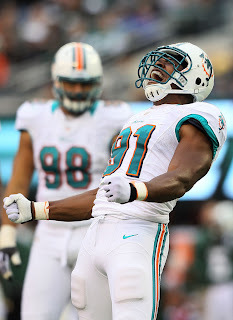 His 35.5 career sacks currently put him fifth all-time in franchise history, while his average of .67 sacks per game rank him slightly ahead of Dolphins all-time sack leader Jason Taylor (131).